here is the Apple Dessert Pizza. 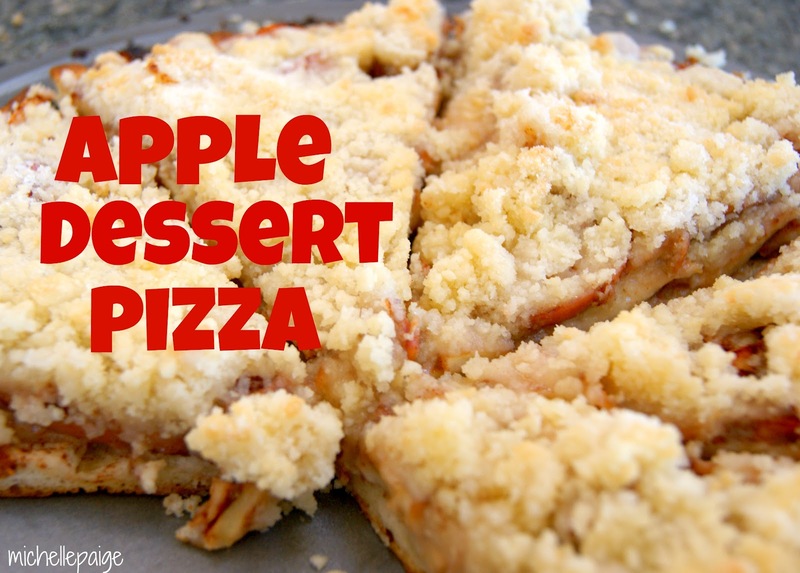 It's so quick and easy, you'll have this apple pizza whipped up in no time. you might choose to make this pizza instead of pie next time. First, you'll need a crust. We used the quickest easiest dough from Pillsbury to make our crust. Lay dough out on a pizza pan and prebake 7 minutes, then remove from oven. 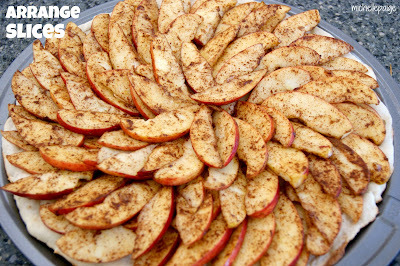 Next, slice up three apples and toss them in cinnamon and sugar. 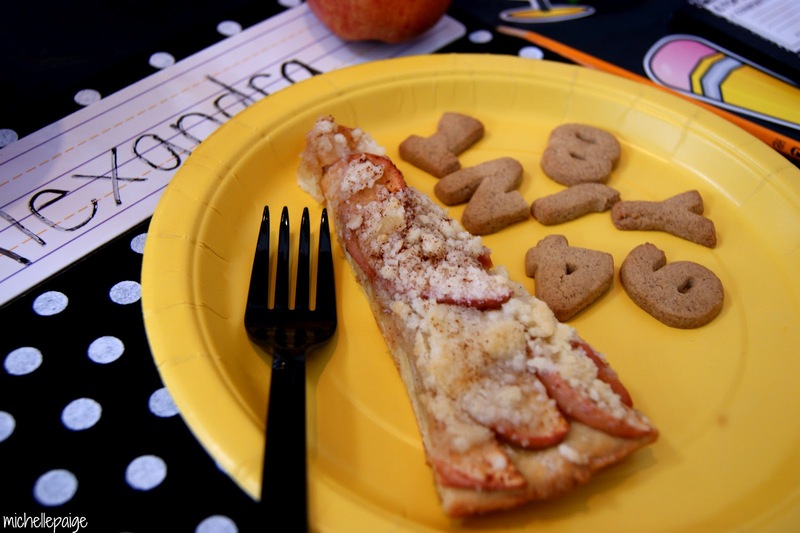 Arrange the apples slices in a circular pattern right on top of the prebaked pizza dough. Next, crumble together 1 stick of butter, 1 cup sugar and 1 cup flour. Pour this topping mixture over the apples. Finally bake your apple pizza at 400 degrees for 20 min. Slice pizza into wedges and enjoy while warm! Perfect with a scoop of vanilla ice cream, too! Mmmmm. The smell alone will have you drooling! nibbled on letter cookies and apple pizza for dessert. 1 cup white sugar + 1 Tsp. 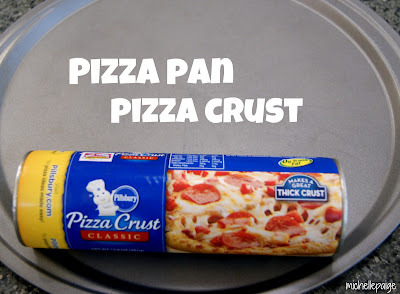 Roll out pizza dough onto a pizza pan or stone. Bake dough for 6 minutes at 400 degrees. Slice apples and place in a bowl. Add 1 Tsp of sugar and 1 Tsp. of cinnamon. 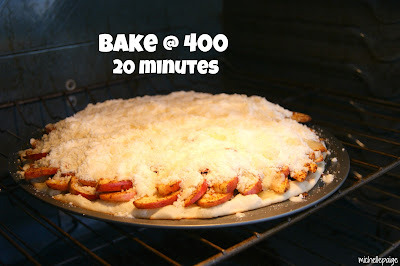 Arrange apples in a circular pattern on top of the pizza dough. 1/2 c. butter (1 stick) softened room temp. 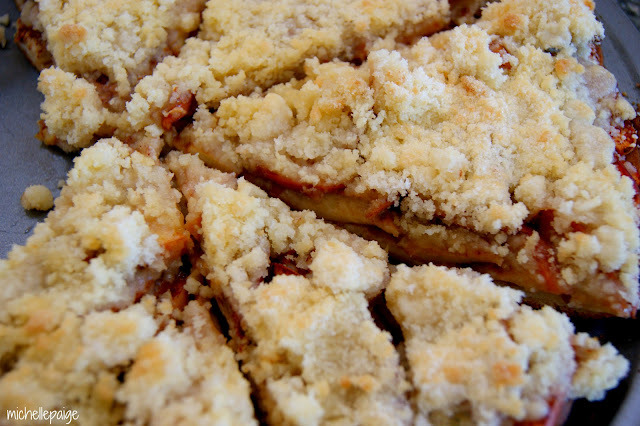 Crumble topping over apples.Bake at 400°F for 20 minutes. Cut with a pizza cutter. Serve warm...with vanilla ice cream! Oh boy--this sounds delicious. I will have to try it!! I came by your blog by way of another blog and just love all of your ideas. I have become a follower so that I can pop in often.